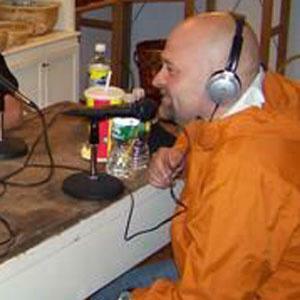 Paranormal enthusiast and co-producer of the long-running Syfy series Ghost Hunters. He was the founder of The Atlantic Paranormal Society. He worked as a plumber and paranormal investigator before starting his work with Ghost Hunters in 2004. He was involved in many charities, including the Shriners Hospitals for Children and Cure Kids Cancer. He married Kristen Cornell in 1998; they had three daughters named Samantha, Satori and Haily, and twin sons: Logan and Austin. His show Ghost Hunters was partially narrated by Mike Rowe.